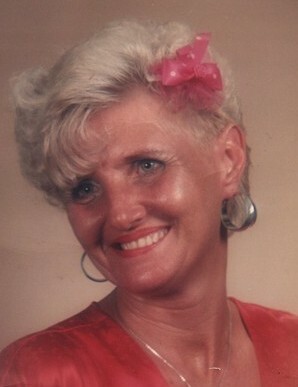 Gloria Jean McDonnell, age 67, of Woodbury passed away Saturday, August 18, 2018 at Alive Hospice of Madison. She was a native of Middletown, Ohio. Survivors include her husband, Geoffrey McDonnell of Woodbury; Children, Donnie Ray Patrick of Mt. Sterling, KY, Robin Hill of Woodbury, Tommy McDonnell of FL, Lita Kay Leviner of Woodstock, GA, Michelle Howard of Ohio, Michael Swinford of Cincinnati, & Timmy Thomas of FL; and Brothers, Chuck Veidt & Vernon Veidt, both of Middletown, OH. 15 Grandchildren & 6 Great Grandchildren also survive. Ms. McDonnell was preceded in death by her parents, Byron A. Veidt & Bonnie Jean King Veidt; and Son, Dale Patrick. She was a member of the Baptist Church and a store clerk. Graveside Services will be 2 PM Wednesday, August 22, 2018 at the McDonnell Family Cemetery. Visitation with the family will be from 12 Noon to 2 PM at the McDonnell Home.